In other trading news, today eToro lanched their latest innovation to the world of social trading, CopyTrader. CopyTrader lets you take advantage of the knowledge and expertise of other traders automatically. All you have to do is choose which profitable trader you wish to follow and you have a whole wealth of information at your fingertips to help you make your selections including full trading history, success rate, trading style, risk breakdown, number of followers, etc. Once you find the trader or traders, just click the CopyTrader button, select how much of your balance you wish to use for copying anyone trader (max. 20%) and their trades become your trades! Once selected you still maintain 100% full control over all your trades. Everything is transparent and in your control. If you don’t like the way a trade is going or just want to take the profit right away? There’s no need to wait for your trader to make their move. You can close or adjust any trade whenever you want. You can even detach yourself from any trading with just one click. Become a “CopiedTrader” yourself and get extra rewards. eToro is launching a Guru reward program, to reward traders with a large following and their added value to the eToro trading community. Think of this like setting up a fantasy football team of traders. The more traders you copy, the more diverse your trading portfolio will be. So get the right team on the pitch and you will be making money on autopilot, literally. We are just recording a couple of videos to show you the system in action and am busy getting together our own lineup of Dream Team traders to Copy. 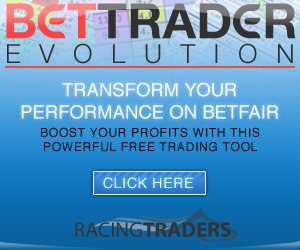 To have a look for yourself, just click below and read more about this exciting new way to trade…..